Get a grip of your boots! 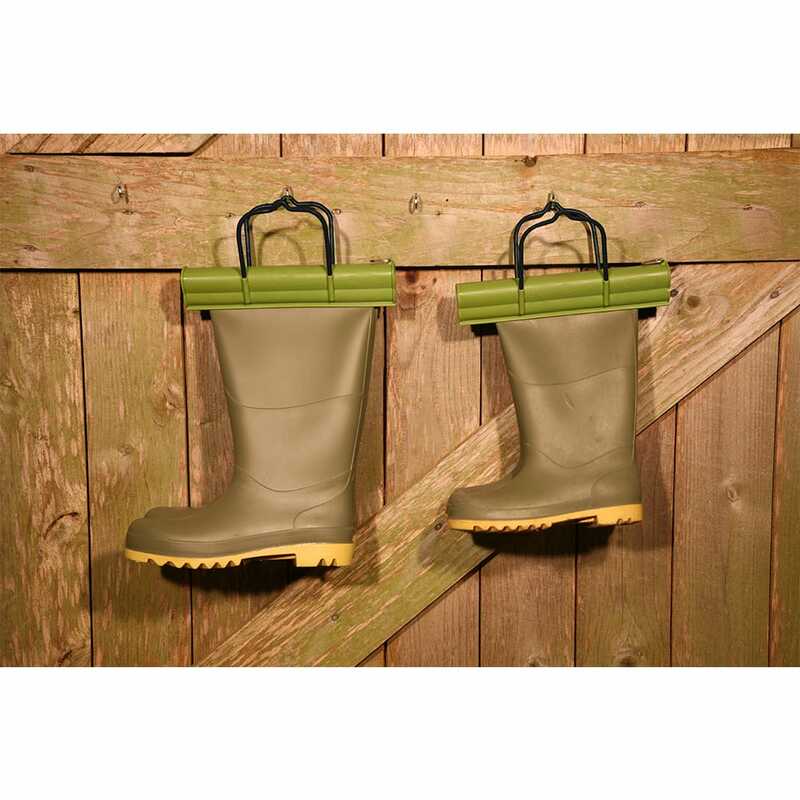 Keep muddy wellies tidy and dry outside, and free from spiders, slugs and mice. 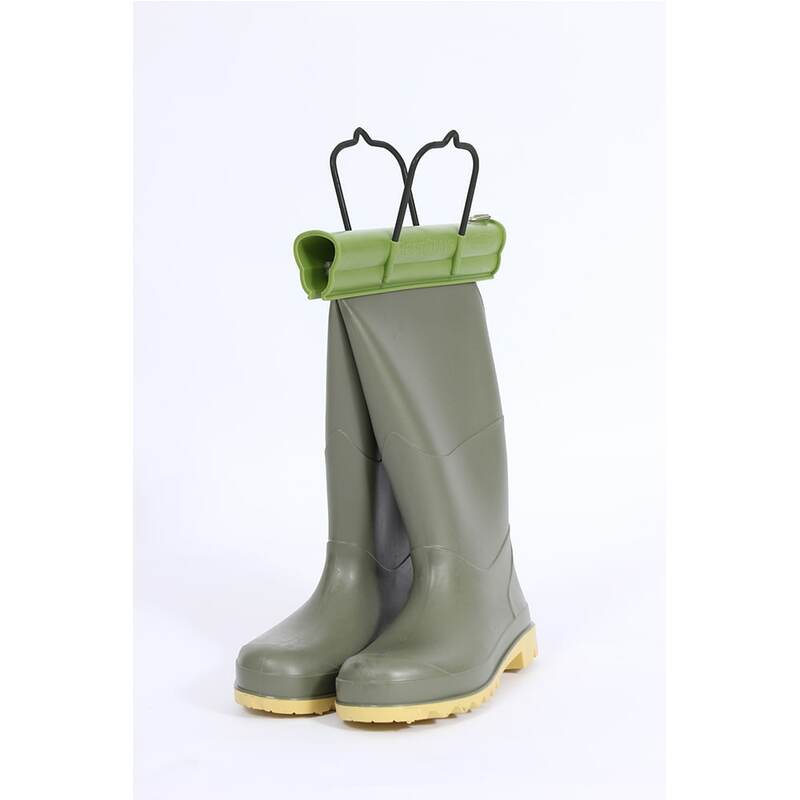 Wet, muddy wellies can stay outside with this simple clamp that fits snugly over the top of any sized pair of boots. 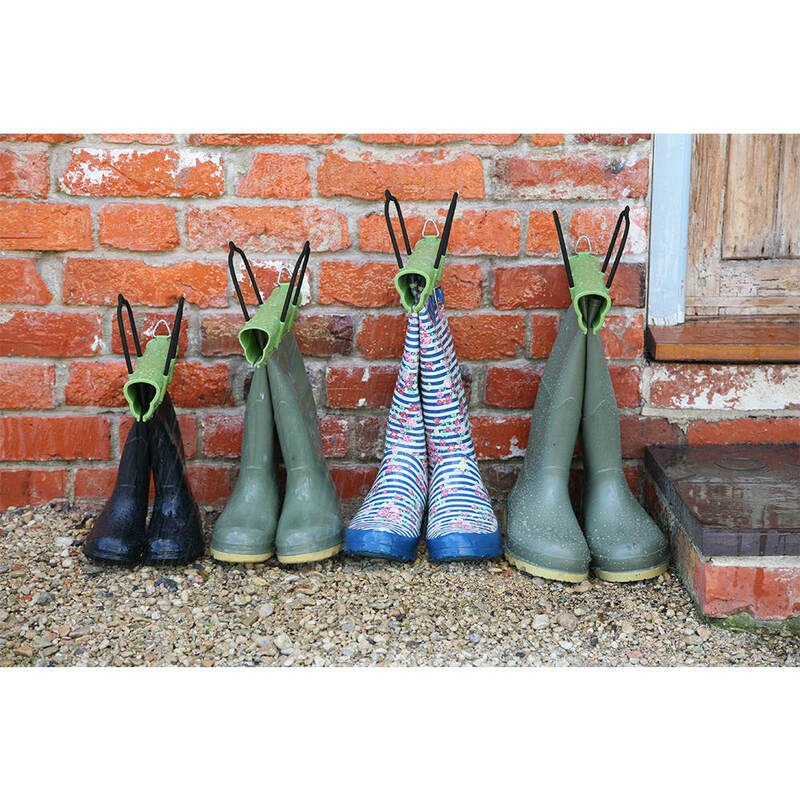 The top of your boots is squeezed together to make a tidy pair that can be left out in the elements with no risk of filling up with rain or unwelcome visitors. 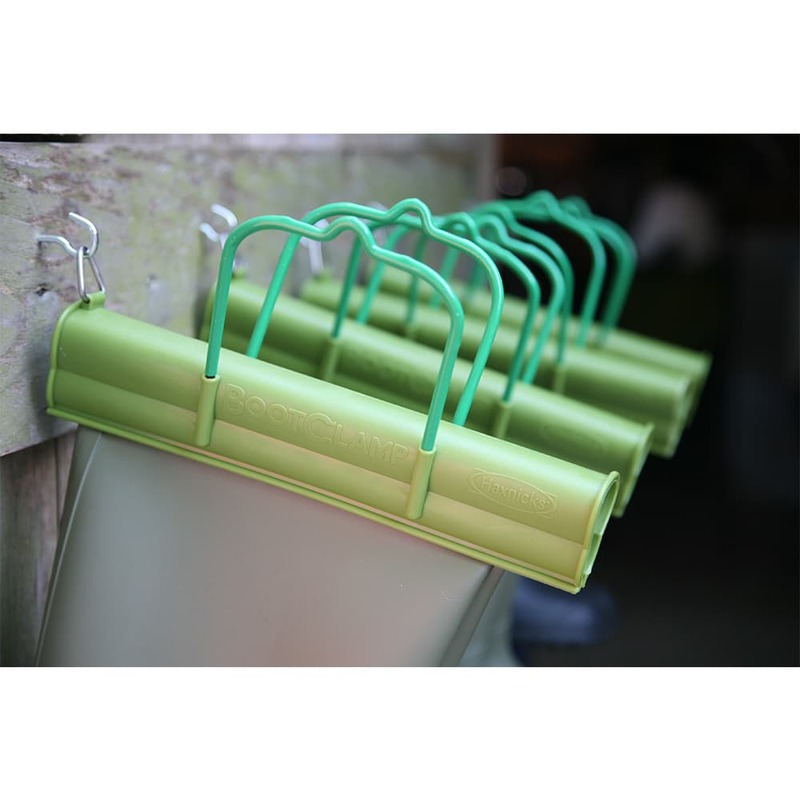 A handful of BootClamps will help keep the family collection paired up and tidy and could easily be personalised. Boots can then be kept out on a balcony, in the yard, or by the back door. A small hook on the end means that boots can also be hung up if required. 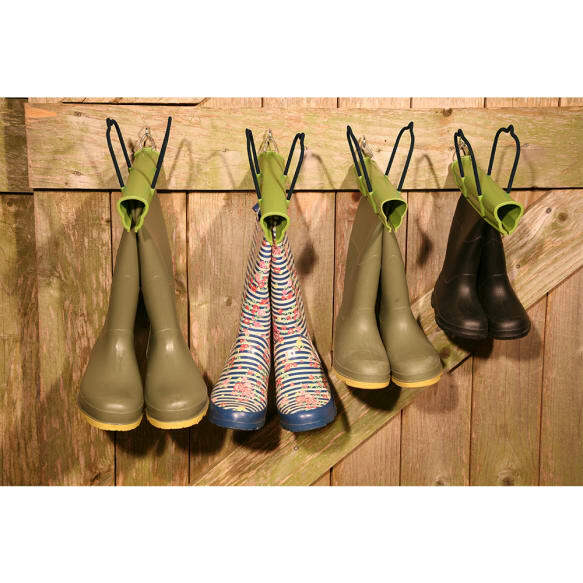 So, free up precious porch or utility room space from grubby and wayward wellies. Helpful Haxnicks hint: Also handy for carrying and keeping boots together when travelling.